Summer is in full swing, and with it comes certain dangers for your pets. We recently came across this article titled “Here’s What To Do When You See an Animal Trapped in a Hot Car" on One Green Plant website. Leaving a pet in a locked car can have potentially deadly consequences. As the article states, the temperature can reach 160 degrees (inside a locked car) on a hot day and a pet can suffer from heatstroke in a matter of minutes. Symptoms of heatstroke includes; restlessness, excessive thirst, thick saliva, heavy panting, lethargy, lack of appetite, rapid heartbeat, fever, and vomiting. If the dog shows any of these signs it is important to get them to a veterinarian as soon as possible. 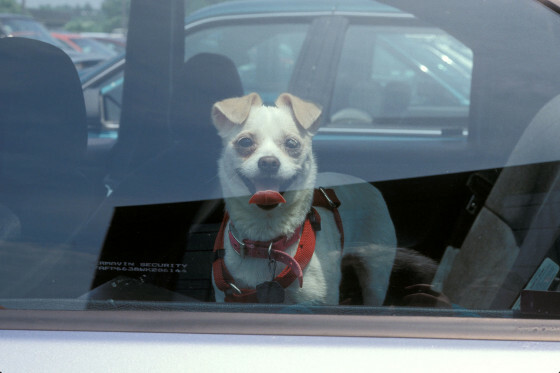 The article lists the steps that can be taken, if you come upon a pet locked in car. *know the laws in your community, pertaining to pets being left in cars.